What can you use to help give you stability, support and balance if you are an older citizen, are not so stable with balance issues, or have been through a physical procedure and need temporary assistance? 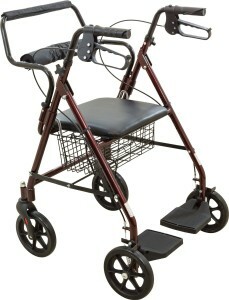 A rollator transport chair combines the best features of a transport chair and a rollator walker. A walker wheelchair combo in short! 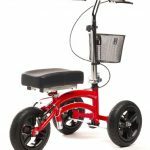 This means that it can be used as a rollator walker when it is needed, but it can also be transformed into a transport chair complete with adjustable footrests. This offers versatility to the user who may have changing needs. The rollator transport chair provides for the many and changing needs of those who need mobility assistance. Individuals have several options when using the rollator wheelchair. 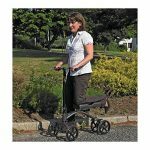 First of all is the versatility, which allows for walking, sitting or riding as needed. It is easily adjusted between the rollator walker and the transport chair so that caregivers have no difficulties helping an individual with mobility. 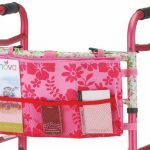 They are constructed using lightweight aluminum so that the frame is sturdy, but easy to transport. They also fold up nicely for ease of storage and transporting between locations. They are typically available in a variety of colors and include a warranty, typically for about 3 years depending on the manufacturer. As we look into these rollator transport chair reviews, we take a look what specific features make them so useful. Most of the units available have adjustable handles to accommodate a variety of heights comfortably. 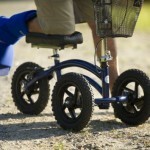 The rollator also transforms from a walker to a wheelchair without the need of any tools. Castors help with mobility in that they make the rollator easy to roll on a variety of surfaces including both indoor and outdoor locations. Many come with additional accessories such as a removable pouch designed to allow the individual to carry extra items along with them. A dual purpose rollator and transport chair may mean the difference between being able to get out and about and having to stay home. Which Rollator Chair is the Best? With the many different brands and models available, it can be confusing to determine which one best suits the need. 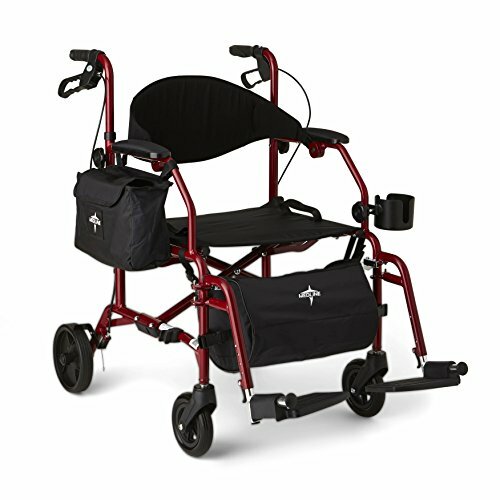 There are some top manufacturers offering a broad range of high quality rollator transport chair combos and each one can have unique features. 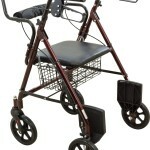 Here is a comparison of the 3 top brands of rollator transport chair reviews. If you are looking for a good quality rollator transport chair combo, then we think this will fit the bill with its many benefits. 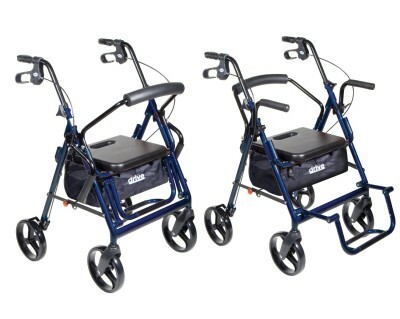 The Drive Medical Duet Transport Wheelchair Rollator Walker combines both the transport chair and a walker in an easily transformable model. It is easily switched between the two uses and folds up nicely for storing. People have commented on it how turns very easily in tight spots. 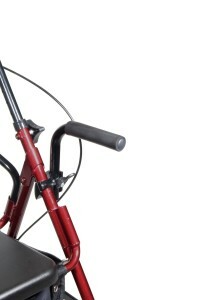 The lock-out feature on the folding frame make certain the unit stays open while in use and make sure the transport chair will stay folded during transport for. 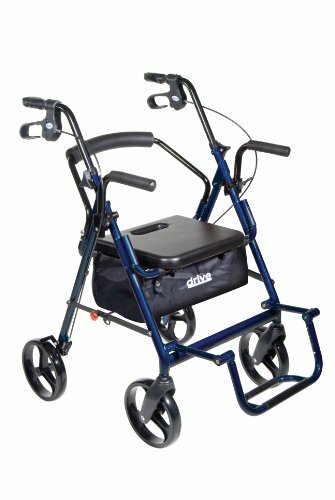 The Drive Medical Duet Rollator Chair is able to navigate uneven outdoor ground with ease if you prefer to use it as a rollator walker. Being relatively lightweight at 25.8 lbs, this rollator transport chair is light enough to be lifted in and out of the trunk of the car or the back seat. 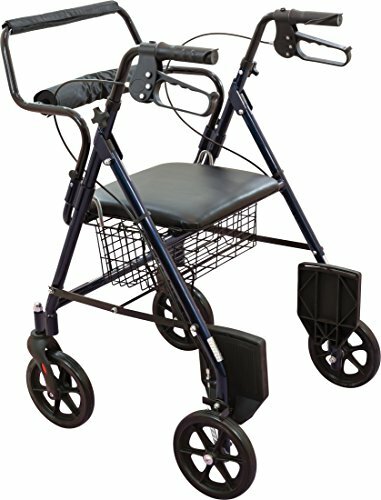 This ProBasics Combination Rollator Transport Chairprovides a combination lightweight rollator transport chair and walker. It easily transforms from one form to another for convenience and safety. The upholstery is black breathable nylon which will not show the dirt and is easy to clean. 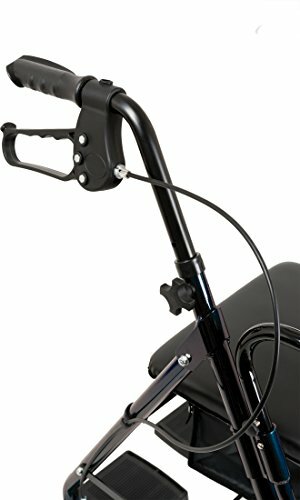 The handles are adjustable to extend up or adjust down, depending on your height and feature comfortable, large hand brakes. 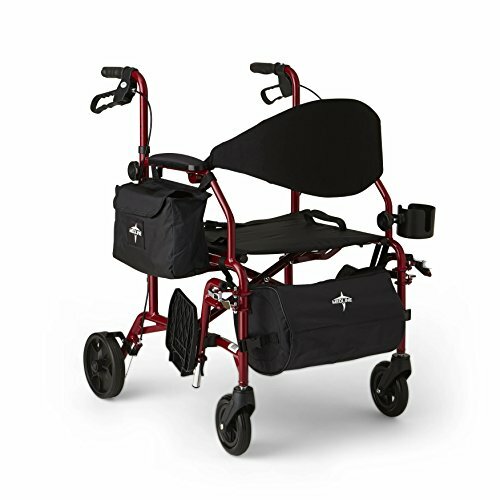 Included in this ProBasics rollator transport chair is a convenient side carrying case where you can store your personal belongings, as well as a large and roomy basket which sits under the seat. There is also a cup holder to hold your drink cup water bottle. The Medline Medical Rollator Transport Chair is the perfect combination of a walker and a wheelchair in one. If you are concerned about safety, the brakes are the reliable, easy to use, loop style brakes which control speed and stop you instantly. When you are getting in and out of the chair, the foot rests can flip up or fold down and do not need to be removed from the walker for ease of use. The rollator transport chair features a comfy padded backrest along with the push handle when you need to take a rest for a while. In case you need to take your personal belongings with you, a large and roomy wire basket has plenty of room to hold your personal items. 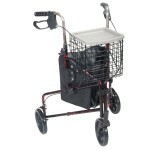 The handle height of the walker wheelchair combo rollator is adjustable to suit the use. Each of these rollator units has its own unique features. It’s important to choose the best rollator transport chair that will meet the most pressing needs of those who need mobility assistance. 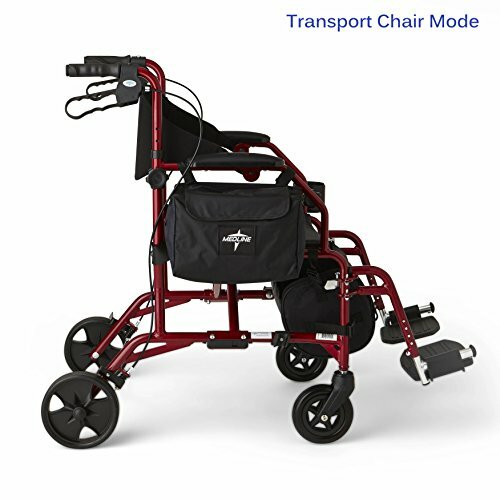 One way to decide which one will be most suitable, is to workout the individuals specific needs and then choose the rollator transport chair accordingly. 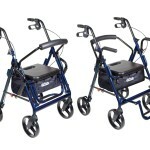 The best rollator transport chair offers you the the benefits of a strong and supportive rollator for walking. They can transform into a transport chair when you need assistance.